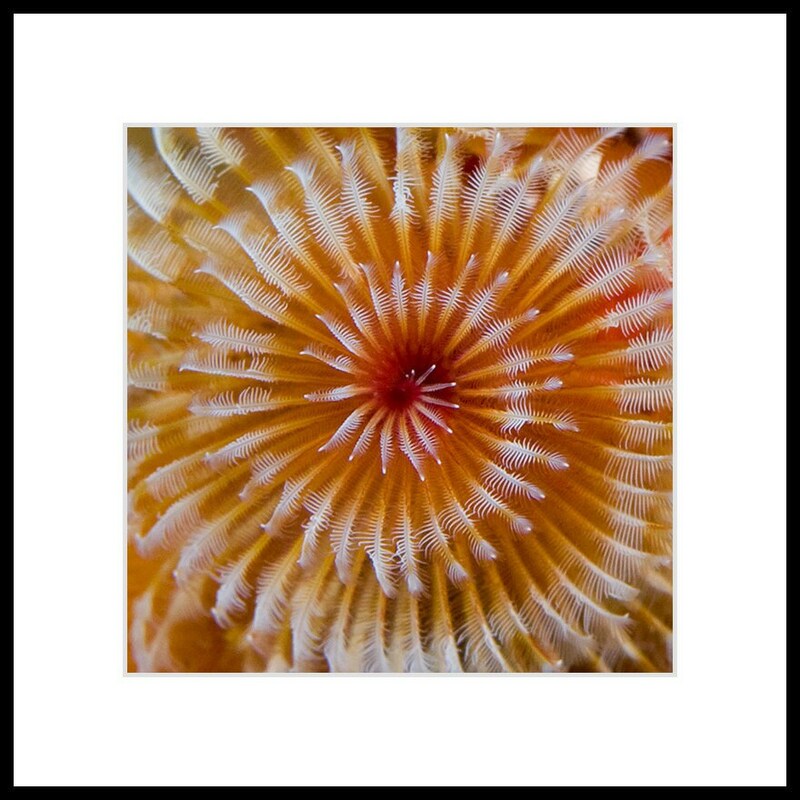 Abstract art underwater photograph of a beautiful spiral pattern formed by a coral reef inhabitant called a Christmas tree worm. The captivating white, orange, and red pattern would be a perfect addition to any room. 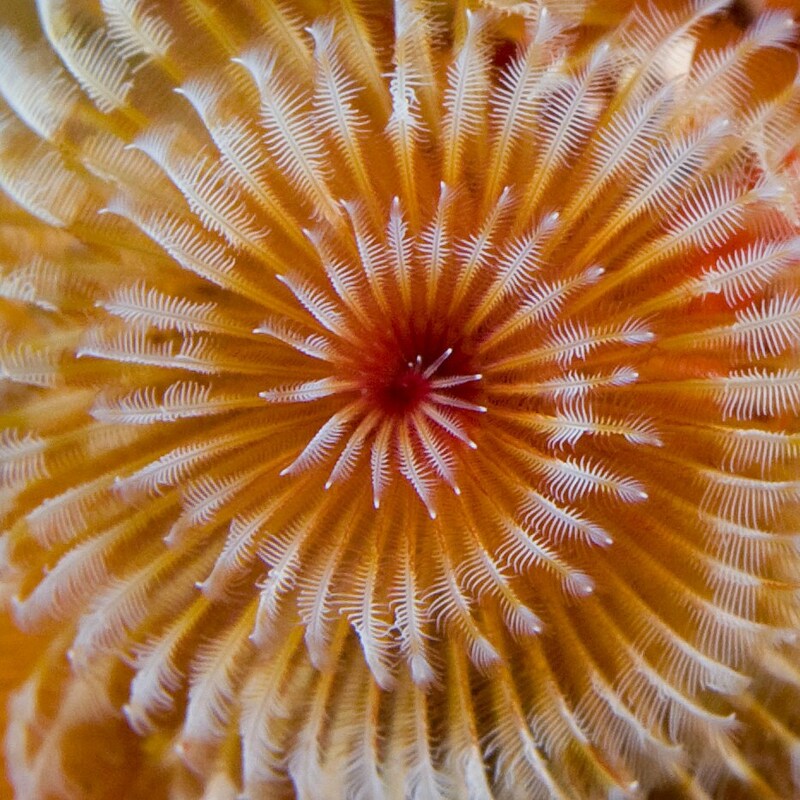 These critters are everywhere but few stop to take a close look and appreciate their intricate beauty.